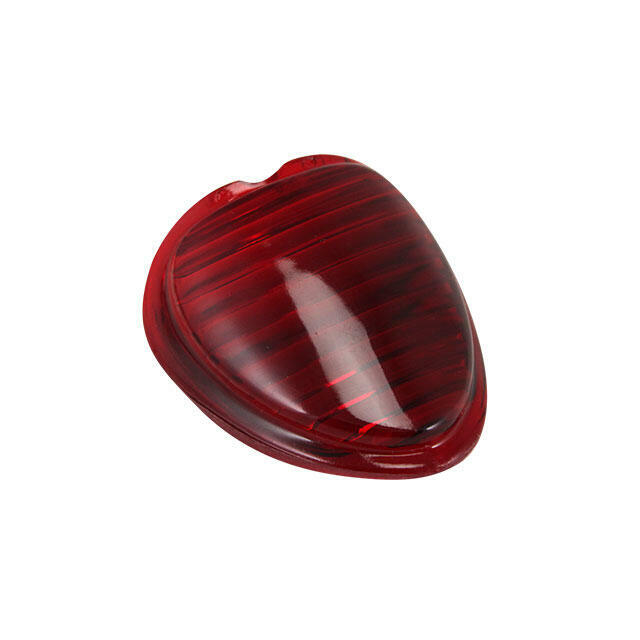 This red taillight lens is essential on Type 1 taillights used on the model with oval rear window 09/52-07/55. They are located at the upper taillight unit at the place of the break light. Scratched or broken items can be replaced now without problems and the break lights are clearly visible. Available each from stock.